Alice Henriette Pauline, born in Amsterdam in 1898 to Jacobus Berlage and Alice Anslyn Berlage, was only seven years old when her father died in 1905. (1) She was the oldest of three; brother Thomas was six and sister Cecile was five. Within a year, their mother married a second time – to Robert J. Fellner, a Boston-born member of the Amsterdam Stock Exchange. Alice Berlage Fellner gave birth to their son, James, in 1907. Fellner subsequently assumed financial positions in London and later in New York. (2) In 1910, they were residing in Manhattan on West 86th Street, where a butler, a maid, and a nurse rounded out the household. (3) It was definitely an upscale neighborhood. Listed immediately above them was the Bonwit family, headed by Paul, a merchant; the Bonwits had four live-in servants. (4) After a two-year stay, the family returned to England, where the Berlage siblings all attended school. These years were dotted by trans-atlantic crossings. When young Alice finished school at the age of 17, she was sent to Holland for six weeks “to catch a wealthy husband.” Upon her return to London from the failed mission, she accompanied her mother and stepfather back to New York where they took up residence at the Kenilworth Apartments on Central Park West. After disembarking, the couple’s courtship was primarily long-distance, as Lawrence continued to travel widely for his employer, Goodyear Tire and Rubber Company. Less than two months after their meeting, he departed on a six-month trip that included stops in Japan, China, Sumatra, Federated Malay States, and Ceylon. (8) He left pre-addressed postcards in the United States to be mailed to Alice weekly until he could write from the Far East. During his absence, Alice travelled to Massachusetts and spent a month with her future mother-in-law. Grandpa’s standing on the far right. And that’s a room full of stories right there! (1) Alice Berlage Odell, New York City, interview by Yvonne Odell McLravy, her daughter, circa 1970s; handwritten notes transcribed by Malissa Ruffner, reviewed by McLravy, privatedly held by Ruffner, [address for private use], Baltimore, Maryland, 2010. Most of the detail in this post, unless otherwise footnoted, was supplied by Alice aka Granny, during this interview that she dubbed “The Grand Inquisition.” Thanks to Yvonne for sharing the material. (2) “Robert Fellner, 74, Banker, Financier,” New York Times, 16 October 1950, p. 27; digital image, ProQuest Historical Newspapers The New York Times (1851-2006) (www.proquest.com : accessed 3 July 2010). (3) 1910 U. S. Census, New York, New York, pop. sched., Manhattan Ward 22, enumeration district (ED) 1393, p. 5B, line 59, dwelling 336, family 26, Robert J. Fellner; digital images, Ancestry.com (http://www.ancestry.com : accessed 3 July 2010); citing NARA microfilm publication T624, roll 1048. Line number is included because dwelling and family numbers are difficult to decipher. (4) 1910 U. S. Census, New York, New York, pop. sched., Manhattan Ward 22, enumeration district (ED) 1393, p. 5B, line 51, dwelling 334, family 25, Robert J. Fellner; digital images, Ancestry.com (http://www.ancestry.com : accessed 3 July 2010); citing NARA microfilm publication T624, roll 1048. Line number is included because dwelling and family numbers are difficult to decipher. (5) “Miss Alice Fellner Introduced,” New York Times, 1 February 1916, p. 11; digital image, The New York Times Archives (http://query.nytimes.com/gst/abstract.html?res=9F06EED81E38E633A25752C0A9649C… : accessed 5 July 2010). (6) “Passenger and Crew Lists of Vessels Arriving at New York, New York, 1897-1957,” digital images, Ancestry.com (http://www.ancestry.com : accessed 3 July 2010), manifest, S. S. Finland, Liverpool, England, to New York arriving November 4, 1916, p. 3, Lawrence G. Odell, p. 5, Alice Henriette Berlage; citing National Archives Microfilm Publication T715, roll 2499. 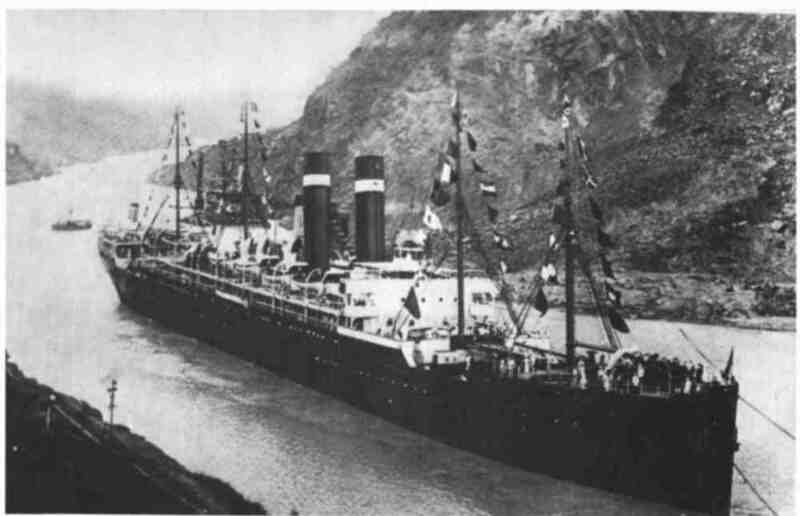 (7) “Passenger Ships and Images,” digital images, Ancestry.com (http://www.ancestry.com : accessed 4 July 2010), entry for Finland of the Red Star shipping line; citing various maritime reference sources. (8) “Passport Applications, January 2, 1906-March 31, 1925,” digital images, Ancestry.com (http:www.ancestry.com : accessed 5 July 2010), Certificate 44225 for Lawrence G. Odell issued 11 January 1917; citing National Archives Microfilm Publication M1490, roll 342. (9) Lawrence Odell and Alice Berlage photograph, 31 January 1918, privately held by Malissa Ruffner, [address for private use], Baltimore, Maryland. (10) “Marry in St. Patrick’s Cathedral,” New York Times, 1 February 1918, p. 9; digital image, The New York Times Archives (http://query.nytimes.com/gst/abstract.html?res=980DE2DC103FE433A25752C0A9649C… : accessed 5 July 2010). 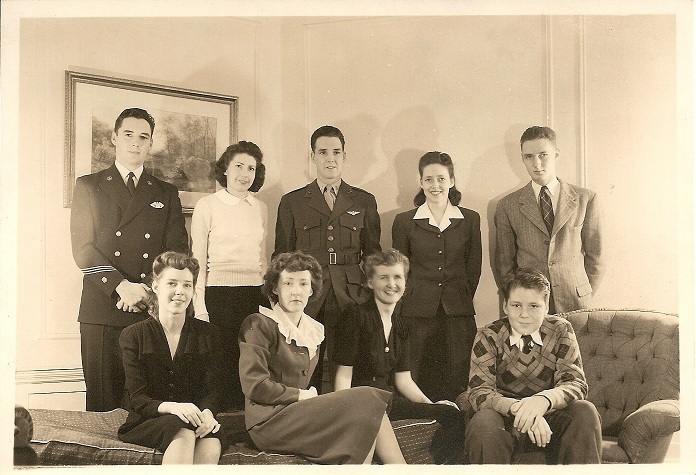 (11) Odell Siblings photograph, circa 1940s, privately held by Malissa Ruffner, [address for private use], Baltimore, Maryland. The ship posted here to be the SS Finland is in fact its sister ship Kroonland;http://en.wikipedia.org/wiki/SS_KroonlandThough on e-bay are 3 pics for sale from the SS Finland (I’m not the seller or connected to), 1 is very very nice even. Framed as well.I thought to inform you about this, because it could maybe add a nice addition to your genealogical research. There is no mention of Robert’s son Robert Maurice James FELLNER born in Oct 1906 in New York. Alice Ester Benjamina Anslyn Berlage Fellner is her whole name. 1876 Holland. She had an address of 7 Cornwall Mansions, Cornwall Gardens South Kensington SW UK. They came over 1906 with a butter maid lol, a housekeeper, and a butler lol. Fellner was her stepfather’s name. We have him to thank for getting her to Ameria! True, I did not mention Alice’s half-brother. Do you have any other information about his mother, please? Or any idea why he is not listed in the 1911 Census? Alices spoke fluent French, was born in Belgum, her father was from Holland spoke Dutch, and her mother was freom England she was born 1871 or 1875. I think that’s right. Um!!! Alice Odell is my Great Grandmother, by her daughter Mary, and her daughter Eleanor Mary Beach. I would like to read the rest of this story, as her Great, Great, Great Grandchildren would love to hear it too. My sister and I remember going every Christmas time to visit the whole family. I remember the elevator operator and the “horse” statue near the river. PopPop always had candies in a can and his hospital type bed. We used to have tea parties with the tea set in the closet. I saw the picture and we look alike for sure. Hi Robin, I met your mom years ago at the North Carolina beach when she was visiting with Aunt Phyllis, Uncle Ray, and Uncle Larry. Years ago! I was just going through some things that Aunt Yvonne gave me and I have something you might be interested in. Please email me at mruffner@gmail.com. This was meant to be! I am the sister (Rain) that Robin speaks of in the prior post, further confirming that Alice Odell was indeed, our Great Grandmother, via her daughter Mary (our Grandmother) of whom I immediately recognized in the sibling photo (circa 1940), she being seated bottom row, 3rd (from left going right) dressed in the black shirt. Her daughter, Eleanor Mary Beach was our mother, now deceased. As I recall, “Granny” Alice Odell resided in a building on the corner of 106th and Riverside, Manhattan, NY. The building’s elevator operator had to turn a manual crank to raise us up to the 15th floor where she lived, and us kids would barrrel down the hall to ring her door, and greeted by the butler! I recall her apartment being spectacular, decorated with nothing but the finest; kinda French Provençial, all the way down to a child’s sized silver tea set she had, just for us! Pop-Pop was mostly ill during our visits, but his room always smelled of cherry pipe smoke, and he always kept a brown leather Half & Half tobacco canister full of chocolate bars in his room and he’d always give us some! I am the youngest of Eleanor’s 3 children from her first marriage- we have a brother Robert (Bob) who resides in Maine, and Robin and I both reside in southern NJ. I hope there’s more to be discovered. Very excited to hear from both of you now! I will share everything I have or know and happy to do so.